With a candy pink base, white screen-printed detail and multicoloured tissue inserts, this delicate pink 5 tipped light shade is perfect for those looking for a pastel lampshade to complement a pastel colour scheme or a splash of colour to brighten up a dark corner. 160 multi-coloured jewels of light sparkle against a contrasting marshmallow pink background to create a cheering and eye-catching decorative lampshade, centrepiece or party decoration. 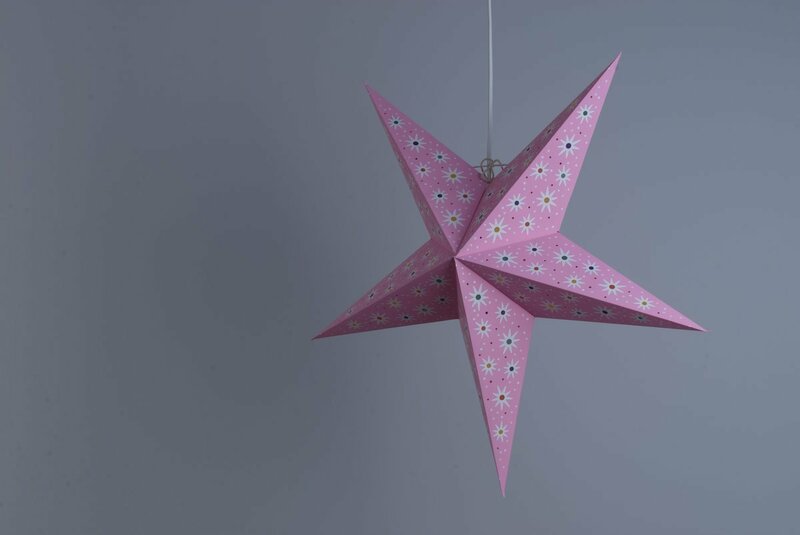 With its gentle glow, this delicately decorative hand-made paper star is a playful addition to a child’s bedroom or nursery - and equally at home anywhere that loves a joyful twist of colour! 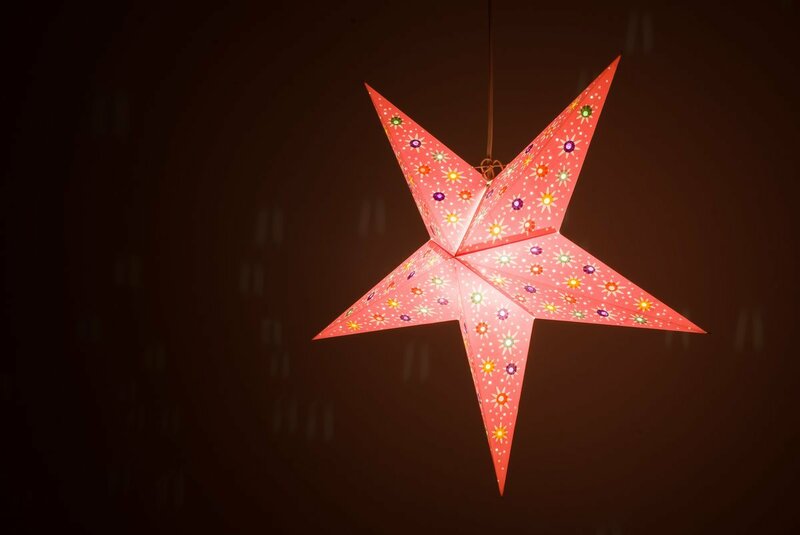 View the rest of the Fiesta paper star range below!